Those looking into senior living quickly come to realize the industry has a language all its own. Senior living is actually a catch-all term for a continuum of care that includes everything from independent living and assisted living community to memory care and skilled nursing. See, we did it too, but the jargon isn’t meant to confuse you. Rather, it’s a good thing because it means you have a range of options available, each tailored to fit specific needs. That being said, how do you know what’s what? And most importantly, which one is right for you or your loved one? We can help by explaining key differences in two of the most popular types of senior living on the continuum: independent living and assisted living. In independent living you can typically expect a range of accommodations from condominiums and apartments to free-standing cottages. Designed for active seniors who can live independently, you’ll enjoy more of a private dwelling feel while at the same time being near to common areas and amenities. 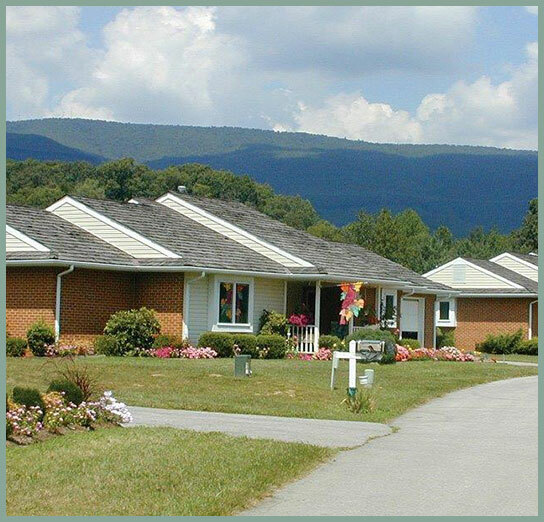 The accommodations in an assisted living community are typically apartments, although you may be able to choose from several different floorplans. Regardless of whether you have a private or semi-private space, apartments are spacious and these communities feature more of a group setting centered around common areas and amenities. Independent Living is all about lifestyle; a convenient, worry-free one in a vibrant, social community. It’s why so many active seniors are choosing this route for their retirement years. 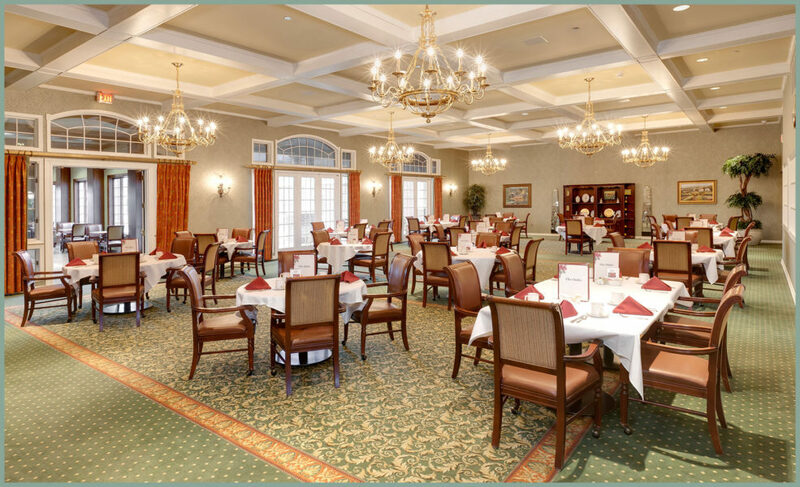 You’ll find residents aged 55+ and they enjoy restaurant-style dining, housekeeping, laundry services and transportation as well as a variety of social opportunities, activities and clubs. 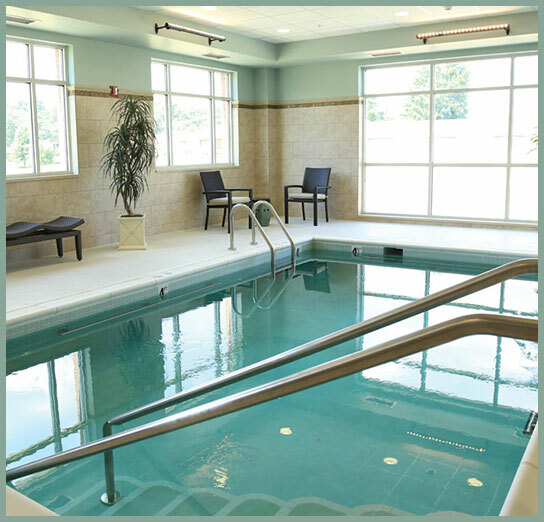 Plus, independent living is known for its resort-style amenities such as concierge services, a pool, fitness center, library and onsite beauty and barber salon. But, to be a good fit for independent living, you must need little to no daily assistance as typically onsite medical care is not offered. Enter Assisted Living. 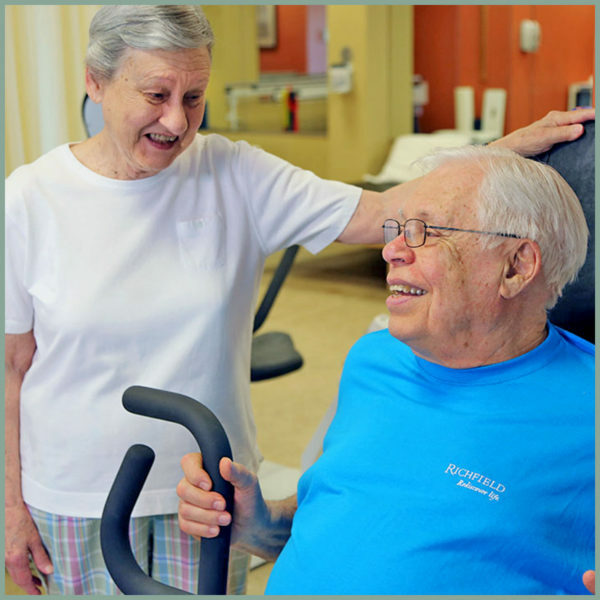 You might think of these communities as the next step in the continuum of care as they do provide onsite care with 24-hour supervision and personalized support for activities of daily living such as bathing, dressing and medication management. But don’t think that residents of an assisted living community give up their independence at all. Rather these communities are designed to provide just the right amount of support to help residents enjoy an engaging, purposeful life. To do so, they also provide housekeeping, laundry, transportation, restaurant-style dining, similar amenities and a range of social opportunities, activities and outings. Keep in mind however, that support for daily activities is not the same as specialized care for Alzheimer’s disease or chronic health conditions. 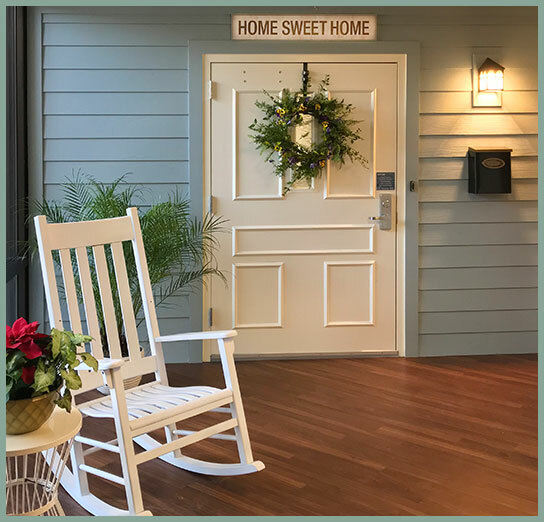 If you loved one needs this type of round-the-clock care, assisted living may not be ideal although here at Richfield, our Joseph C. Thomas Center offers two households dedicated to memory care. Yet another difference is the cost, with the average monthly cost of a one-bedroom independent living apartment at $2,750 and a private, one-bedroom assisted living apartment at $3,750 according to Genworth. Of course, the cost difference mainly correlates to the increased level of care received in an assisted living community. However, some independent living communities also require an entrance fee or buy-in. 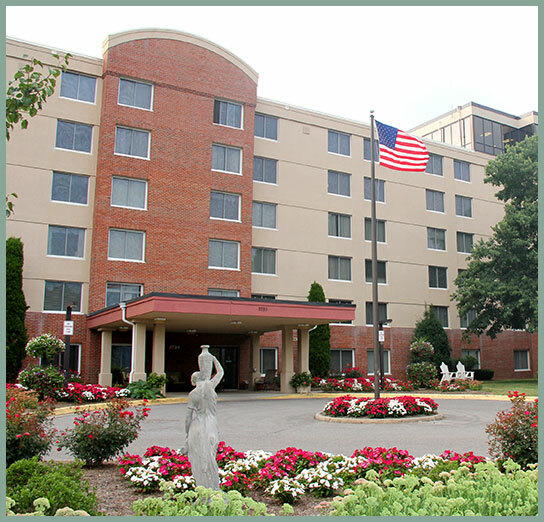 Others, such as Richfield Living, offer monthly rental agreements which include the services and amenities listed above as well as utilities. But regardless of whether an independent living or assisted living community would ultimately be the right fit, when considering monthly costs make sure to compare them to your total cost of living at home. Beyond your mortgage or rent, at home you also pay for food, utilities, home maintenance, property taxes, insurance and entertainment. While we’ve identified some of the key differences between independent living and assisted living; often the best way to find your fit is to see the options yourself. 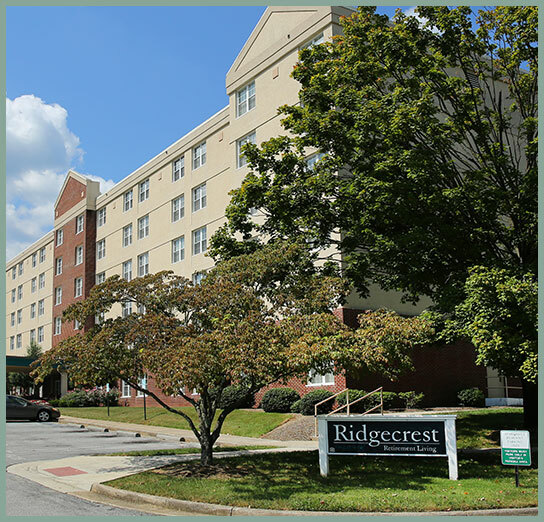 Check out the three independent living offerings on our campus—Lake Estates, Knollwood and Ridgecrest. 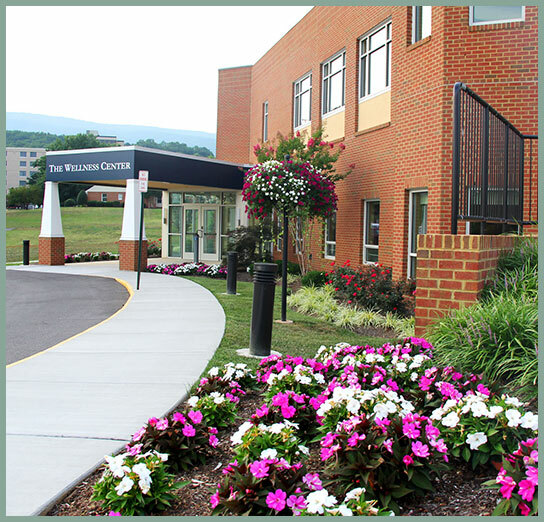 and two distinct assisted living residences—The Oaks and Joseph C. Thomas Center.